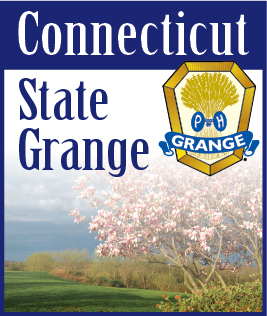 The 2019 Connecticut General Assembly session is in full swing now with many bills being passed on to the different committees. There is quite an array of topics being addressed by the different bills being proposed by legislative members. I have seen a multiple of bills addressing the banning of single use plastic bags. Along with the plastic bag ban there are also bills banning use of plastic straws and Styrofoam containers. A bill has been presented that would prohibit the distribution of unsolicited marketing flyers to homes. That would affect some small businesses who leave flyers for their local services or businesses. Another bill that may be of interest to nonprofits addresses creating public utility service rates, such as water and electric, for nonprofit organizations. Last year the General Assembly passed a bill to collect a $10 fee with each motor vehicle registration that would be used for the state park system. This eliminated the parking fees for residents arriving in a Conneccticut registered car at our state parks. Well this year there are bills to eliminate this fee or limit it to one motor vehicle registration per household. Some were complaining that they have multiple motor vehicles and were paying this fee a multiple of times. There are also a multiple of bills proposed to exempt senior citizens from this motor vehicle registration fee for the parks. There are several bills proposed that would legalize industrial hemp growing in Connecticut. The Federal Department of Agriculture had redefined the definition of hemp, legalizing the production of industrial hemp. Most states have already addressed this which allows their farmers to start growing and producing industrial hemp. Connecticut has not yet addressed this and needs to do so quickly to allow farmers to jump in on hemp production with this growing season. This could be a win for Connecticut farmers. One bill that we are watching carefully is HB5254. This bill would allow municipalities to impose a buyer’s conveyance fee on real estate transactions to be used to fund the purchase and stewardship of open spaces. We have already submitted testimony on SB208, An Act Concerning Exempting From The Personal Income Tax Proceeds From The Sale Of Agricultural Land Development Rights To The State. This state program is designed to bring fair market land value prices down to a value that would make farmland affordable to others who wish to continue actively farming. Currently when a farmer sells the development rights to the state, they have to pay income tax on the proceeds from the development right sale. Eliminating this would allow the farmer to utilize these funds for their farming production. We are also encouraging that this be expanded to those who sell their development rights to the local municipalities as well. We are carefully watching what the new Governor will present in his budget. The fact that the Governor has yet to appoint a Commissions of Agriculture has us worried. In past years there have been previous proposals to eliminate the Connecticut Department of Agriculture (DoAg) and merge it in with the Department of Environmental and Energy Protection (DEEP). The Grange has traditionally strongly opposed this merger. The Department of Agriculture has some important programs that the agricultural community depend on. They are also in charge of food safety and animal inspections for fairs and other events. We are concerned that if DoAg is merged with DEEP some of these programs will be diluted.